Patch 5.1 introduced new battle pets into the game, a series of pets now drop from doing old raid instances(Blackwing Lair, Naxxaramas, Molten Core and Ahn'Qiraj). Collecting all of the pets from these raids rewards you with the Raiding with Leashes achievement and your very own Mr. Bigglesworth. Each pet has a fair chance to drop and they can all be soloed. Today I'll go over Blackwing Lair and cover the bosses that might still be difficult at 90. 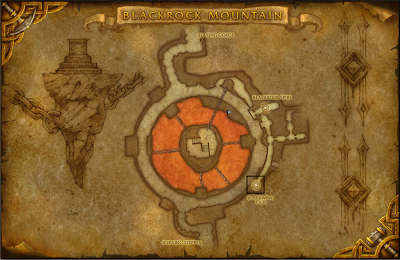 The entrance to Blackwing Lair is to the south of Searing Gorge, you want to head into a big door into Blackrock Mountain. 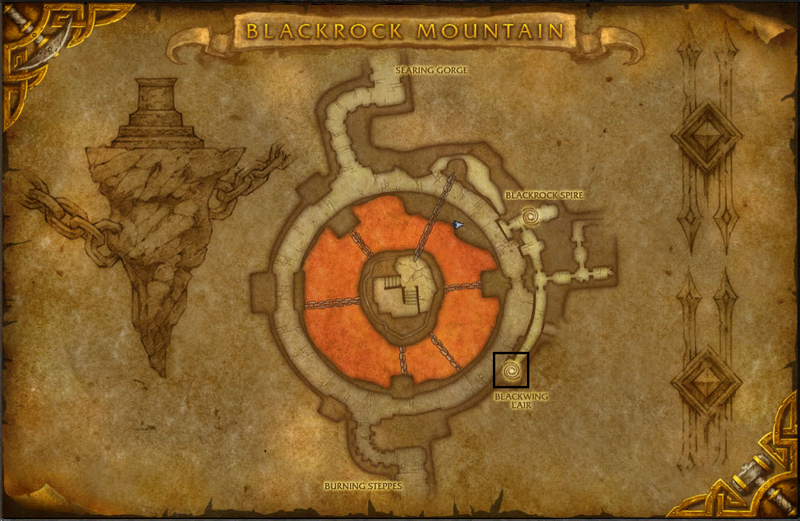 The entrance to BWL is to the southeast, go down a corridor and click on an orb to teleport into the dungeon. The only boss in BWL that might give you some problems. You start the encounter by killing the three mobs standing on the platform, then you click the orb to mind control Razorgore. You'll need to use the 4th button on your action bar near an egg to destroy it, and you have to destroy every egg. Every few seconds adds will spawn that will try to kill Razorgore. If he dies before all the eggs are destroyed, you die too and that's a wipe. You don't want to engage adds as Razorgore, he can't faceroll them like you can. So every time you have 3-5 adds on Razorgore, right click his portrait and dismiss. If you haven't been hitting the adds as Razorgore, they'll swap their aggro to you. 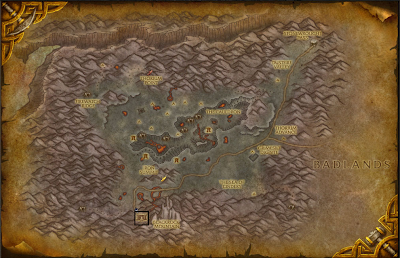 Clean up the adds best you can while avoiding damage to Razorgore. And repeat every time more adds spawn and you should be fine. You should be okay if they start to hit you while you're channeling, but still keep an eye on your health. This one is annoying because the rooms leading up to him apply a slow unless you have a rogue to disarm the traps. Just be mindful of your positioning and make sure he doesn't knock you off a ledge, he should be an easy kill. 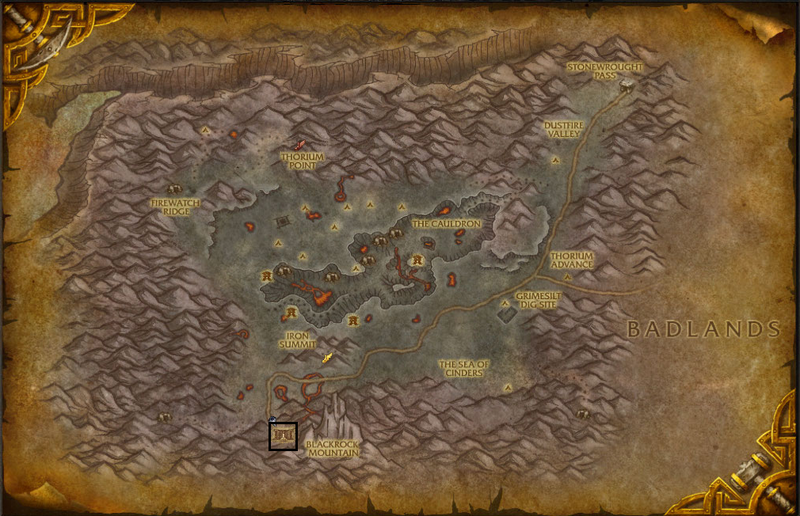 You should have looted some hourglass sand from mobs leading up to him which you can use to clear the bronze affliction debuff. If you can't cleanse debuffs, just kill him before he stacks all five on you. One more note, if you don't get the pets, you can always buy them off the auction house or ask a friend if they have them, they can trade them to you to learn and trade back, you'll get credit when you do this.